Welcome to the Small Sunny Garden Shop! 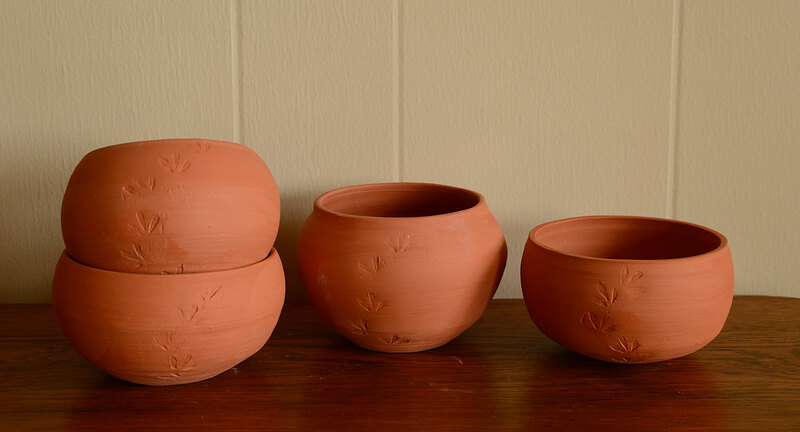 Here you will find my handcrafted garden pottery, which I make using traditional methods: potter's wheel, simple tools, handmade stamps... above all, my hands. 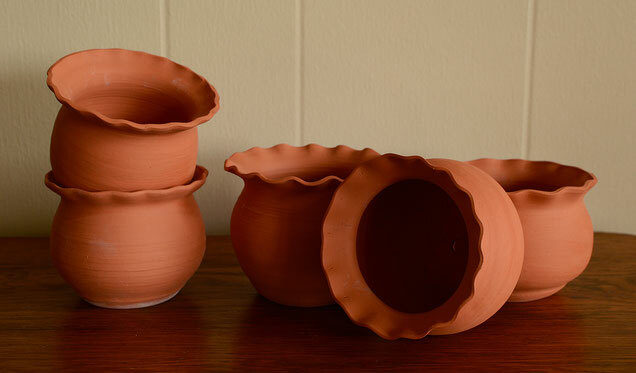 Each piece is made individually, then fired in a kiln to produce functional ware for your home and garden. Shipping is free, locally and internationally. These pots are individually thrown on the potter's wheel; the pot is allowed to dry slightly, then the rim is fluted by hand and a drainage hole is added. 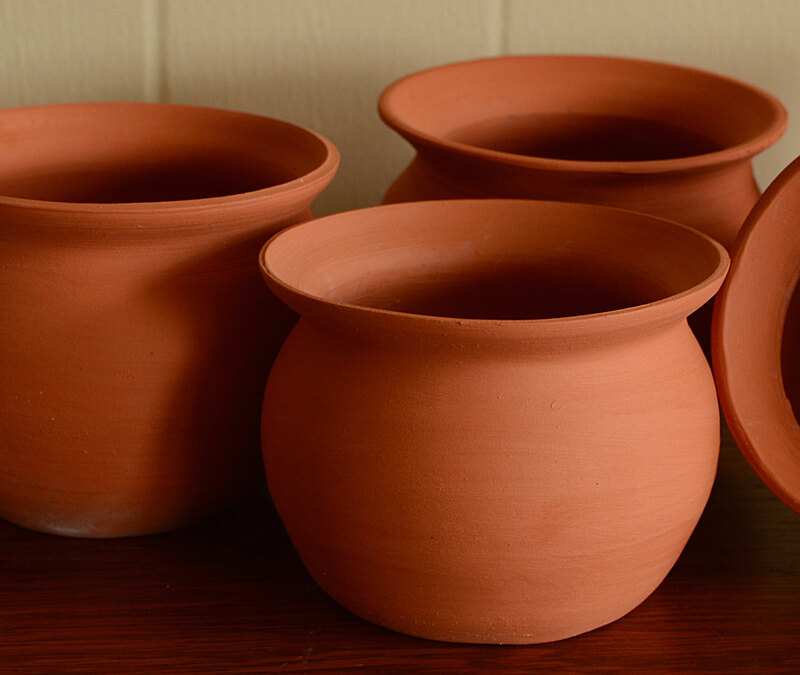 Pots are then air-dried completely and fired to around 1900 F/1040 C for a strong but slightly porous texture suitable for growing plants. 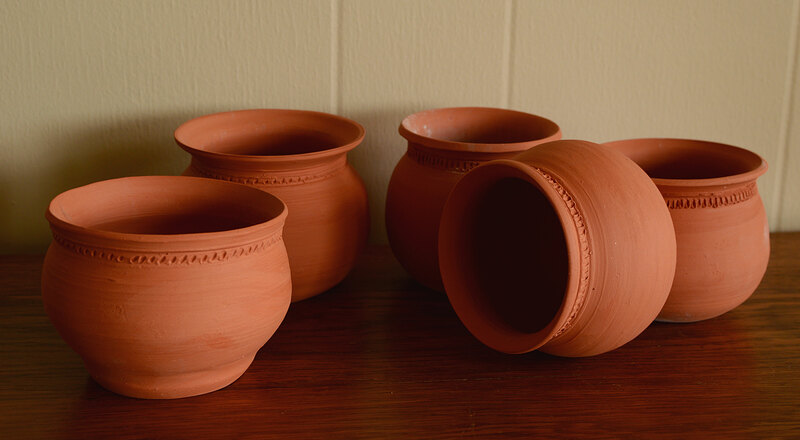 These pots are individually thrown on the potter's wheel. The pot is allowed to dry slightly; then the design on the neck is incised by hand using a wooden tool, and a drainage hole is added. 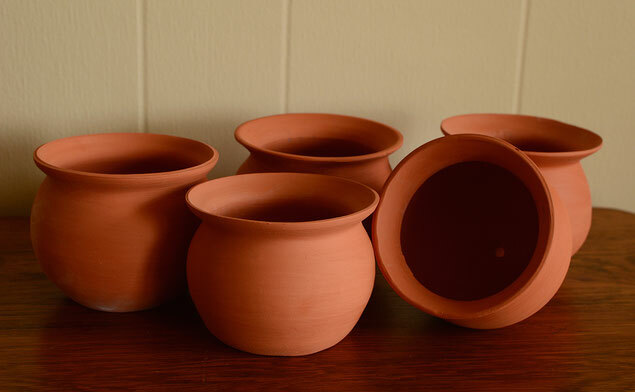 Pots are then air-dried completely and fired to around 1900 F/1040 C for a strong but slightly porous texture suitable for growing plants. These pots are my basic form. 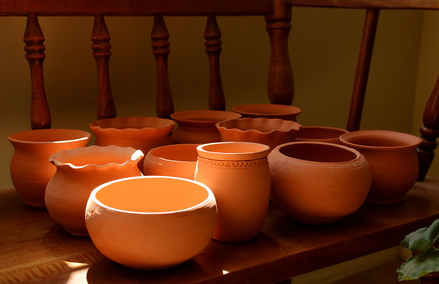 Each is individually thrown on the potter's wheel; the pot is allowed to dry slightly, and a drainage hole is added. 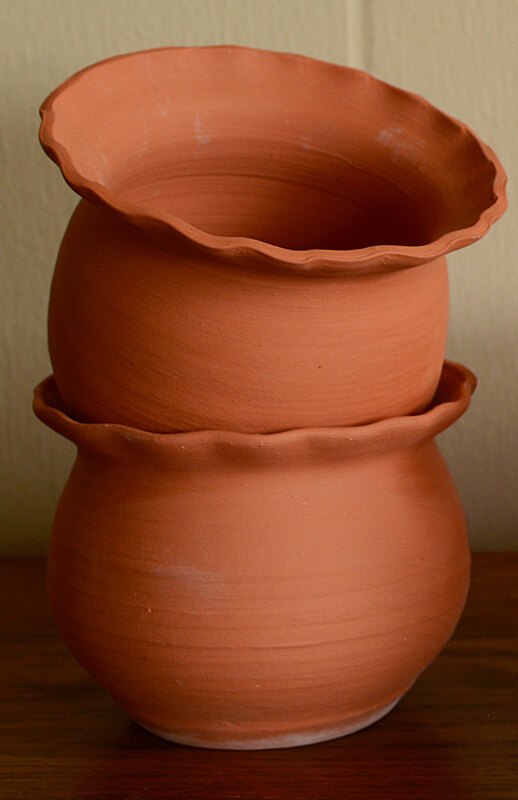 Pots are then air-dried completely and fired to around 1900 F/1040 C for a strong but slightly porous texture suitable for growing plants. These pots are individually thrown on the potter's wheel. The pot is allowed to dry slightly, then the pattern is stamped on one side using one of my handmade clay stamps, after which a drainage hole is added. 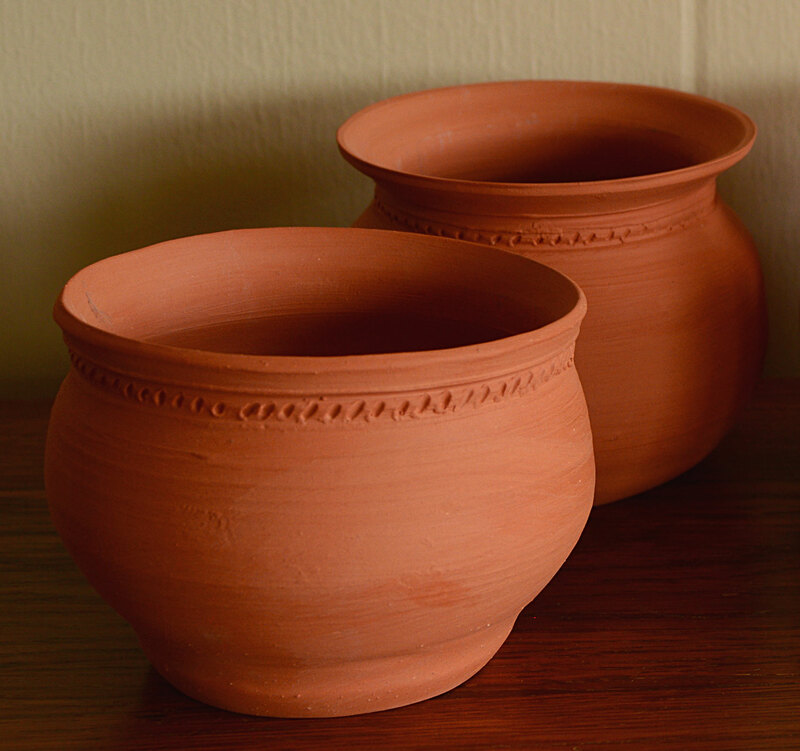 Pots are then air-dried completely and fired to around 1900 F/1040 C for a strong but slightly porous texture suitable for growing plants.